The U.S.S. Enterprise is appointed to transport ambassadors from many worlds to the Babel Conferences. Among those aboard are Ambassador Sarek of Vulcan and his human wife, Amanda — Spock's parents. In transit the crew must apprehend an assassin amongst the crew. "Journey to Babel" is episode No. 39, production No. 44, written by D. C. Fontana, and directed by Joseph Pevney, it was first broadcast on November 17, 1967, it was repeated on July 5, 1968. The Enterprise must transport dignitaries to a peace conference, with an assassin on the loose. It features the first appearance of Sarek (Mark Lenard), and Amanda (Jane Wyatt), parents of First Officer Spock, as well as the first appearance in the series of two other alien species, the Andorians and the Tellarites. Wyatt had been widely known for the 1950s sitcom Father Knows Best, where she played Elinor Donahue's mother. On the previous Star Trek episode, Donahue was the guest actor, playing Commissioner Nancy Hedford, who became Zefram Cochrane's "Companion"
The episode can be viewed at Netflix and YouTube. Not a single comment on this? Jeez. If anybody is interested in how Sarek and Amanda's relationship works, the 1976 record Inside Star Trek apparently goes into way, way too much detail. 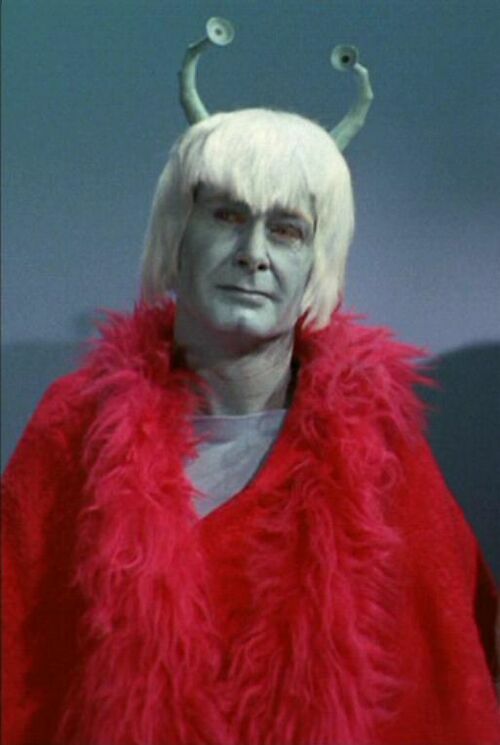 I was always very disappointed in the Andorian and Tellarite make-up, like how a humanoid could also be insectoid in some way, and was pretty happy that their cartoonish characteristics were not included elsewhere in the universe, although I haven't seen the ENT episodes that brought them back. Of course, this episode was terribly important in introducing the Sarek and Amanda characters and expanding our knowledge of Vulcan society. It's sort of funny that they went with the canonicity of This Side of Paradise in creating them. This episode does have some good examples of how difficult it is to distinguish a philosophy of logic from good old emotional repression. The way it cuts to Kirk fighting the Andorian without any suggestion as to why feels like an unusual editing choice. I guess all they could have added was Kirk walking along and then suddenly ATTACK! which would be repeated information when Kirk gives his message and passes out. But it still feels unusually abrupt way to start a scene that I don't think we see very often. Thinking back on this episode and all the other cool Vulcan stuff in the various series and movies just makes me pissed at JJ Abrams all over again. Blowing up Vulcan. FU, JJ! I've heard other people say the Tellarite makeup is especially awful, and I've never understood that. By the standards of the era, I thought it was pretty good. It's certainly an unusual design, with those creepy, recessed eyes. The Andorians on Enterprise weren't super memorable, at least for me. But by then the whole franchise was getting pretty exhausted. I seem to remember that their antennae were constantly wiggling around like little worms or something, which was an... interesting choice. They brought back the Tellarites too, but all I remember is that they were still huffy and their makeup had gotten an upgrade to look more realistic. RobotHero, I wonder if you saw a syndication edit. They trim a lot of stuff for syndication, and some of the choices are pretty weird. TOS could get pretty eccentric sometimes so I don't doubt they maybe started the scene mid-fight, but it may be wonky syndication editing. Couldn't agree more. Watching that last scene with Sarek and Spock teasing Amanda, they had such great chemistry as a family, and the reboot threw all of that aside just to be 'edgy' or 'cool' or whatever. And no ponn farr either. I know we're supposed to be talking about this here episode, but don't get me started on Emo Spock in the reboot. Grr grr grr! Well, I think I can make a meaningful, on-topic response to that, which is that the series, as such, didn't need Sarek and Amanda (and obviously nobody predicted what sort of future Trek had) -- they just needed an interesting story this week that involved Spock. There was no plan to have regular family get-togethers in the TOS series template. TNG, of course, went with things like the Crusher, Worf, and O'Brien family units as regular structural narrative arcs. 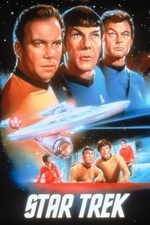 But the new movies (and in this they differ from, and are clearly trying to avoid narrative issues with, the old Trek movies) are all about creating conflict and motivation, in this case for Spock to have a clash with Kirk, and incidentally a way to involve Nimoy in the story peripherally as Spock Prime. It doesn't bother me as much as some other fans because I never expected a comfortable return to the somewhat stodgy TOS universe. But TOS was also trying to accomplish "edgy" things, to use that phrase, by having this seemingly universe-threatening ambassadorial conflict, which has its own issues of realism (e.g. unfettered access to parts of the ship or the enemy diplomats, not to mention limited surveillance tech). It was tee-vee, and yet it was advanced tee-vee for its day, and made the conflict about ideas in a respectably sf way. If I fault the reboot it's for failing to make some of the drastic revisions, like the destruction of Vulcan, worthwhile in an "ideas show" way. Wasn't there also an Andorian in the animated series? Not as a regular character, but in the episode where Spock goes through the Guardian of Forever to travel back to Vulcan to save his younger self during his manhood test, Kirk has an Andorian first officer in the alternate timeline. That episode also shows the "teddy bear" Spock's mother mentions. The way it cuts to Kirk fighting the Andorian without any suggestion as to why feels like an unusual editing choice. I wonder if you saw a syndication edit. Nope. That's how it was originally broadcast. I'd guess the idea was to show that "things are really starting to happen fast now . . . "
I was always very disappointed in the Andorian and Tellarite make-up . . . I wasn't. We weren't looking back at 40 years of post-StarWars big-budget productions then. We were looking back at Captain Video, The Outer Limits, and contemporaneously over at CBS, Lost in Space. Trek aliens looked pretty good by those standards, at least the ones with speaking roles. like how a humanoid could also be insectoid in some way . . . There is no point in this ep where it's said that Andorians are "insectoid". All that guff was concocted years after the series had been cancelled. Enterprise maybe has to deal with that concept; "Journey to Babel" does not. [I] was pretty happy that their cartoonish characteristics were not included elsewhere in the universe . . .
Tellarites and Andorians do reappear (one each) in one other original Trek episode, "Whom Gods Destroy". Being a third season ep, we get a cheap Tellarite and a cheap Andorian. [Compare with JtB Tellarite and JtB Andorian]. Neither has a single line of dialog, I believe, in "Whom Gods Destroy", and no personalities either, other than 'Garth's redshirts'. Both look exactly like what they are: stunt-men at a costume party. We also get Yvonne Craig playing a cheap version of an Orion slave girl, in a cheap episode worthy of her other best known teevy appearance, Batman. Alien make-up notwithstanding, to this day, I still like to (try to) pronounce "addy quate lee" the way the Andorian ambassador does here.